This large group of adult voices has worked continuously in our church since the 1950's. There are currently nearly 40 singers. 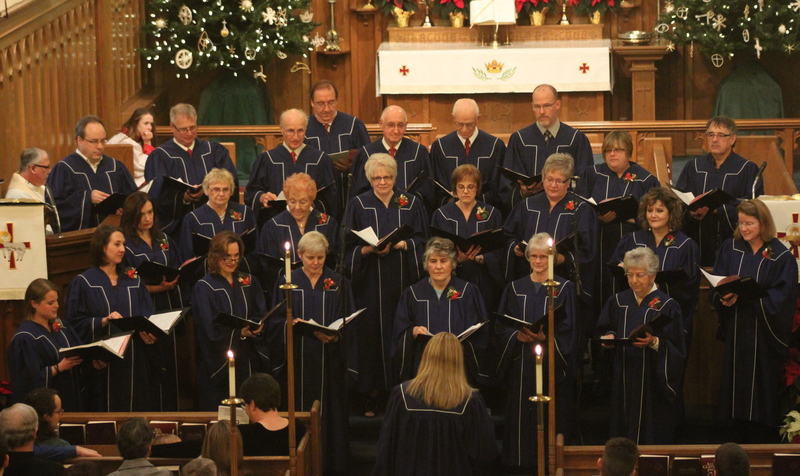 The Church Choir sings at services on Sundays, Lenten Wednesday evenings, major Christian festivals, and has even served occasionally at funerals and weddings. The pieces they present are a mixture of traditional and more contemporary Christian music. The Choir begins its weekly practices with devotions and prayer, and once a month the members linger after practice for coffee and doughnuts. These are high-school age singers who focus mostly on more contemporary expressions of Christian music. On occasion, our Youth Choir teams up with the Church Choir for special services (e.g., Christmas Eve). This group also provides the primary leadership at the "Youth Services" generally held on the fifth Sunday of a month. New members generally enter this group by invitation in order to focus on contemporary forms of Christian music, but also traditional - and sometimes very ancient! - pieces arranged with a new and creative twist. At our regular "Friendship Services" (fourth Sunday of each month at 11 a.m.) the Praise Singers provide the primary leadership for anthems and choruses sung by the congregation. These talented instrumentalists include both youth and adults. They provide music at some of the highest festivals of the Christian year (Christmas, Easter, Thanksgiving, etc.) but also on other Sundays as scheduled. 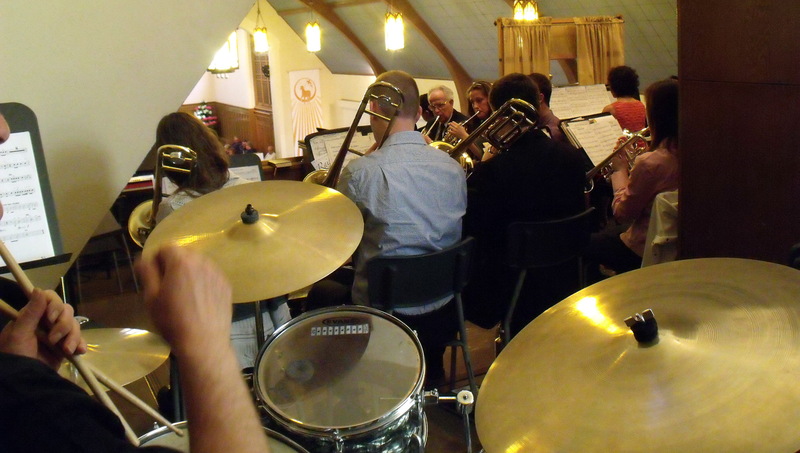 The band also accompanies our Annual Picnic Service at an outdoor location each June. Regular members of our choirs, as well as some who aren't involved in the choir programs, often beautify our services as soloists, duets, quartets, etc. These singers are a wonderful addition at times when it's a challenge to bring an entire choir out, for example, at our Lenten Wednesday afternoon services, or on summer Sundays when the regular choir rehearsals are in recess. Several times annually we also welcome young piano and organ students to our worship to provide instrumental preludes, voluntaries during the gathering of the offerings, etc. For both beginning and intermediate music students this provides an opportunity to perform before a large group, and is also a way for them to make a contribution to the praise of God and the worship of His people. Holy Cross Church happily opens its doors from time to time to visiting choirs who provide both anthems for our services or full-fledged concerts. Some who have performed in recent years include: The Cambridge Kiwanis Boys' Choir, the Jubilation Male Chorus, the African Children's Choir, the Choir of Concordia University College of Alberta, the Chorus of Concordia Seminary in St. Louis, and the "Kantorei" of Concordia Theological Seminary in Ft. Wayne, Indiana. Please see "NEWS/ANNOUNCEMENTS" on this website which provides details if and when such an outside group is scheduled to visit us soon.